← SouthWood Takes Best Neighborhood Award! 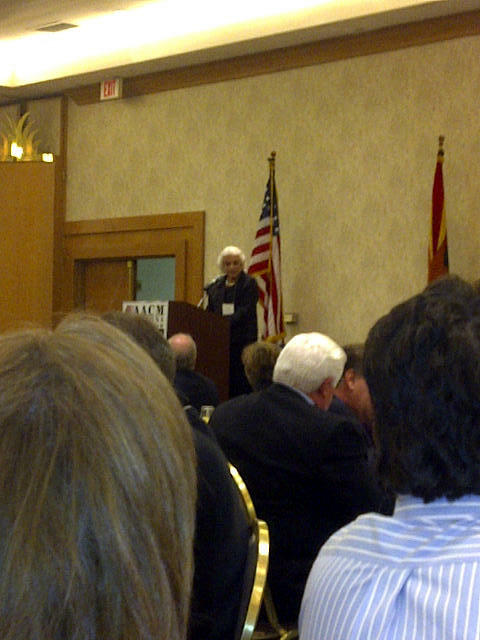 Sandra Day O’Connor is not someone I ever imagined meeting. The daughter of an Arizona cattle rancher, she would grow up to become this country’s first female U.S. Supreme Court Justice. Strong and genuine, her career was marked with frankness and common sense; qualities I have a personal affinity for. Her first year in office, she received over 60,000 letters from the public — more than any other justice in history. Never did I imagine that our paths would cross. But recently they did. Where, you ask? Well, to put it bluntly, it was in a very unexpected place. Nine years ago, our industry began to feel the tide of legislation shifting in Arizona. Guidelines were quickly becoming mandates, as the wave of new laws regarding community associations moved east from California. So, I sat down with 6 of my peers for a little powwow. How could we ride this wave to raise the level of professionalism and accountability for community managers – and still act as the voice of reason for the future? Our answer? Arizona Association of Community Managers (AACM): an organization where competitors come together to promote a positive understanding of our trade, by providing professional education and impacting public policy. Since inception, AACM has awarded 618 Certified Arizona Association Manager (CAAM®) certifications (I actually hold the very first). What started out as 7 founding members has now grown to an influential organization of more than 55 community management companies and 200 affiliate partners, representing more than one million Arizona households. So what does all this have to do with Sandra Day O’Connor? Well, AACM brought us together. 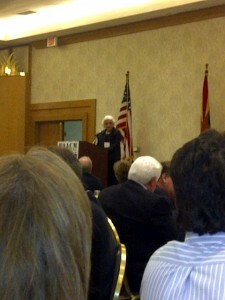 That’s right, O’Connor was recently the keynote speaker at an AACM luncheon. She was there to emphasize the importance of voting and how individual involvement can make a big impact. Later, she would administer the oath to our new CAAM® graduates, including two from CCMC. Never did I imagine that our little organization would someday warrant a guest like O’Connor. I guess it’s just one more example of how individual involvement can, eventually, become a very big force.